The show was a few days ago, but it has taken that long for the sheer brilliance of the performance to sink into me, and now I can finally write about it. Jesse Lacey is one enigmatic character, and I think he enjoys being thought of as so. Known for his role as the frontman of Brand New, Jesse has embarked on an acoustic tour with buddy and fellow singer/songwriter Kevin Devine. Brand New has already achieved epic proportions in regards to the current "scene," so being able to see Jesse perform in a 250 person club was nearly beyond my comprehension. 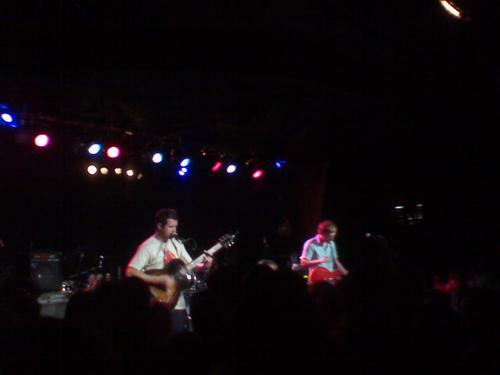 I got there as Kevin was finishing his portion of the show, and then he continued to play with Jesse. They make for a very strong duo, and the way they reworked some of the songs was particularly impressive. They went through some Brand New classics, such as "Play Crack The Sky," "The Boy Who Blocked His Own Shot," and "Me vs. Maradona vs. Elvis." "...Elvis" sounded incredible. I had expected the audience to be singing along as loud as they could, but instead everyone spoke, as well as sang, in a hushed whisper. You could hear Jesse belting out the words, and then the audience lightly backing him up. I heard people around me whispering things such as "Wow," and "That was amazing." That's really the only way to put it. I was in the middle of the most intimate performance I had ever seen. Jesse then played a song called "Brothers," which he said was the closest thing to a protest song that he'd ever written. After that was the song which Brand New is more than likely most popular for, "The Quiet Things That No One Ever Knows." It was very cool hearing a stripped down version of what is usually an in your face and intense song. The next song was introduced as being off of "the greatest album ever written" in Jesse's opinion, and was "Two-Headed Boy Pt. 2" by Neutral Milk Hotel. 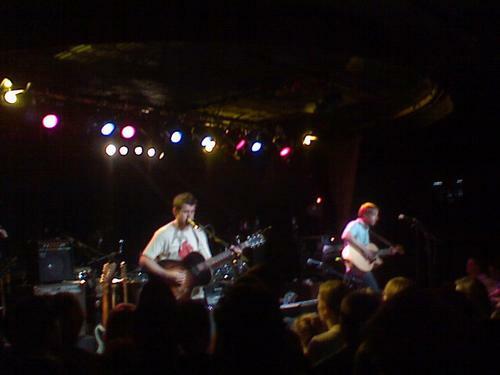 At a previous stop on the tour, Jesse actually played the entire first half of their album, In The Aeroplane Over The Sea. 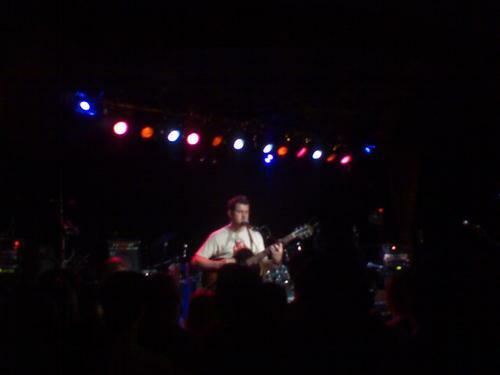 They played some of Kevin's songs next, including "Ballgame" with some lyrics from "Tautou" mixed in. What happened after that was pretty much comic genius. I believe they were doing part of "Now That You're Home," by Manchester Orchestra, and somehow ended up doing an Applebee's jingle. 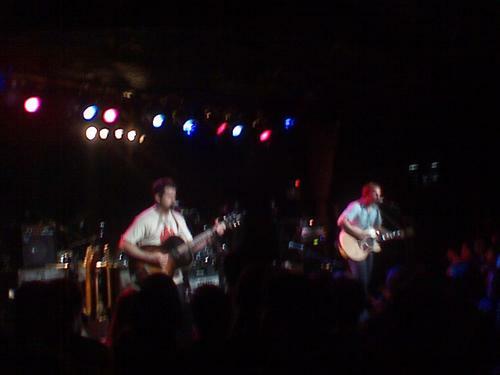 For a minute or two on stage, they played their instruments and sang about how bad they wanted Applebee's. I really wasn't sure what I was witnessing. But then...in what was completely unexpected and I'm really not even sure of how it started, they went into a cover of The Temptation's "My Girl." The crowd absolutely loved this, myself included. This might have been the loudest the audience got the entire time. I looked around, and everyone was singing along, smiling and laughing. When the second verse started, it became pretty clear the guys had no idea what they were doing, and sadly the song was over. Jesse said something along the lines of "Wow, we sure owned that one." What a cool moment that was. Jesse finished up with his songs, "Jesus," "Degausser," "Untitled #1,(which was about being in love in the first grade)" "Sowing Season," and ending with "Coca-Cola." Wow, just wow. Words do not do this justice in the least. As I walked out of the venue, I really tried to process what I had just been a part of. Essentially, I was put in a random room, with a handful of other kids, to listen to some incredible songs (expected and unexpected) by quite possibly my favorite frontman in modern music. Some people go their entire lives without experiencing a performance as intimate, and I question if I'll get such a chance ever again. There's been a lot of posts on this MobileBeat blog with superstar performers raking in millions of dollars, in gigantic arenas, with pyro, huge lights, and massive egos. This show completely trumped any of those. You don't need all those elements to have a great show. If anything, they can be a cover for what might be a mediocre performer otherwise. This is what music is about. We had a bunch of kids listening to a guy in a cramped room, with nothing but a friend on stage, a guitar in his hands, and his voice in our ears. Very well written review, wish I coulda been there. great review. sounds like it was an awesome show. damn i am upset as hell that they didnt make a stop anywhere close to long island. such a shame. great review tho. Wow, I am so jealous that you were there.